A blooming Japanese magnolia is a horticultural groundhog, indicating winter is just about done for the year. This plant is a hybrid, or a cross. The parent plants are difficult to find in local nurseries, but their offspring are stocked in abundunce as their blooms open. Fall is the best time to plant hearty trees in Louisiana. 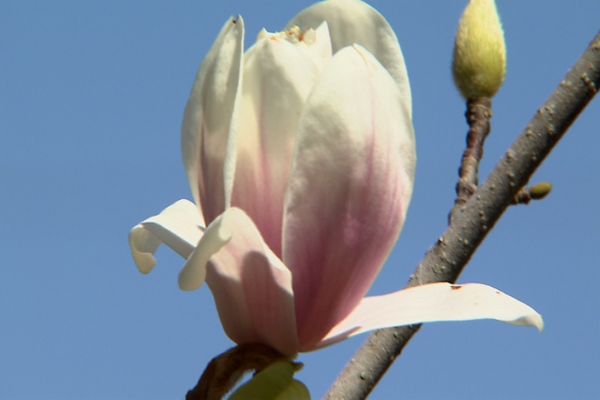 Dan Gill describes why Sweet Bay Magnolias are a good pick.